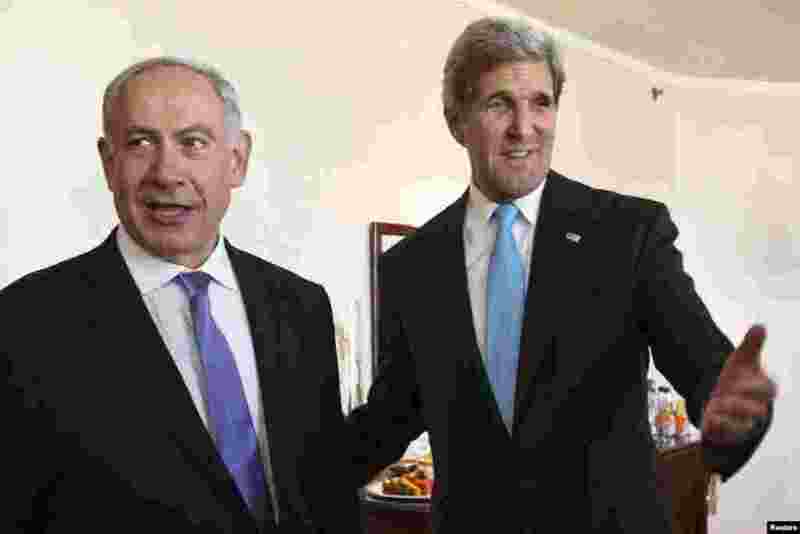 1 U.S. Secretary of State John Kerry gestures as he meets Israeli Prime Minister Benjamin Netanyahu in Jerusalem, June 28, 2013. 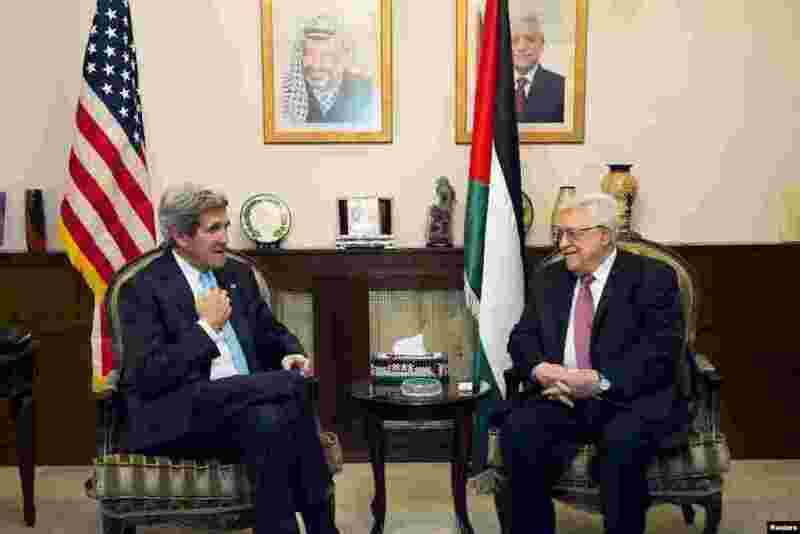 2 U.S. Secretary of State John Kerry speaks with Palestinian President Mahmoud Abbas in Amman, Japan, June 28, 2013. 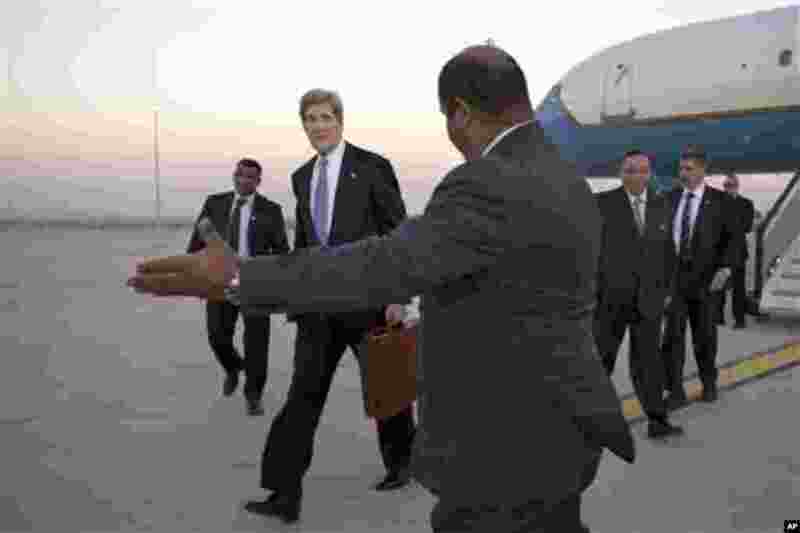 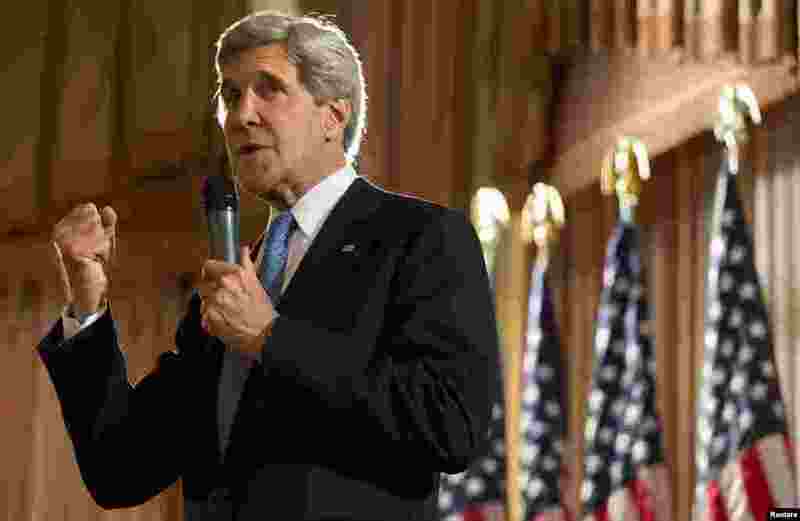 4 U.S. Secretary of State John Kerry speaks to staff from the U.S. Embassy in Kuwait City, Kuwait, June 26, 2013.